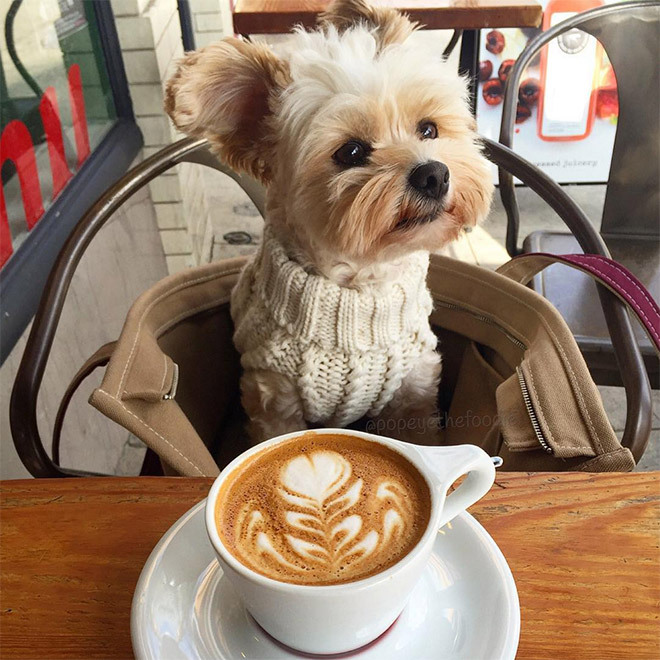 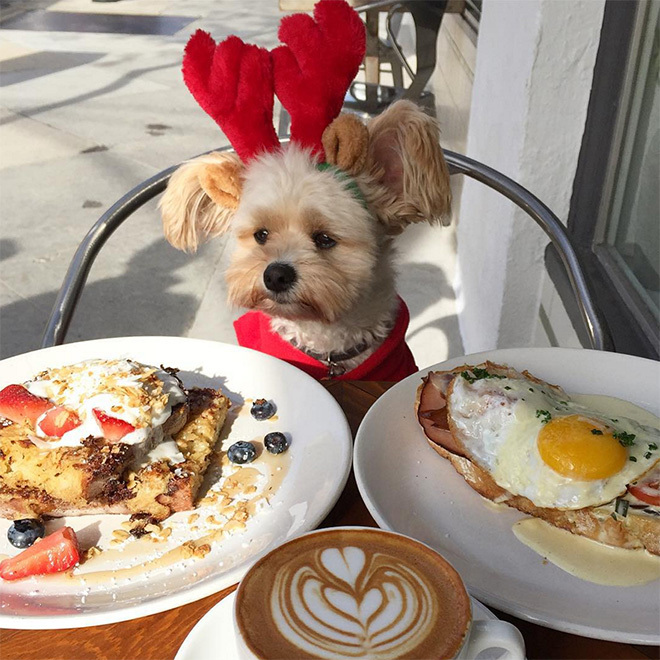 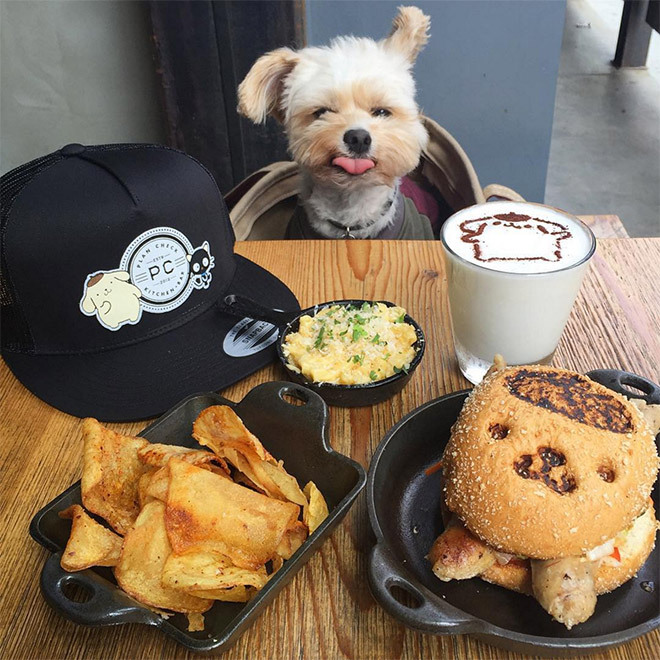 If you live in LA and you’re struggling to get a reservation at some of the best restaurants in town, it’s probably because of Popeye the dog. 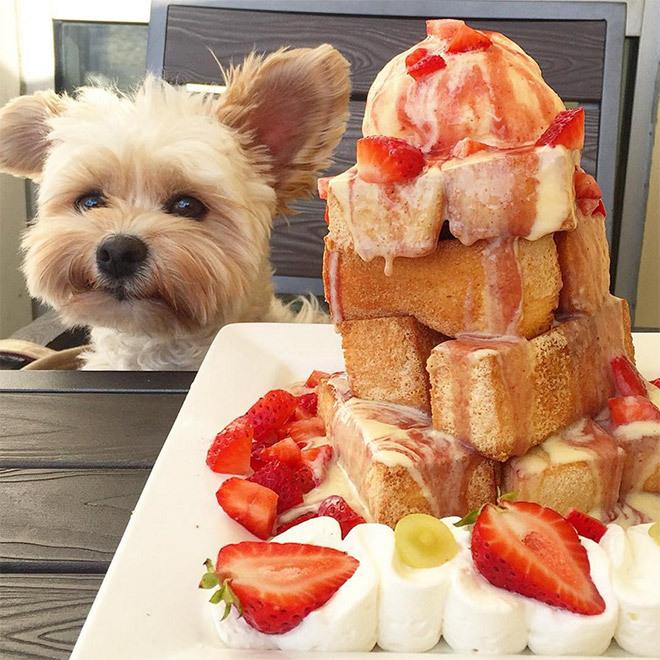 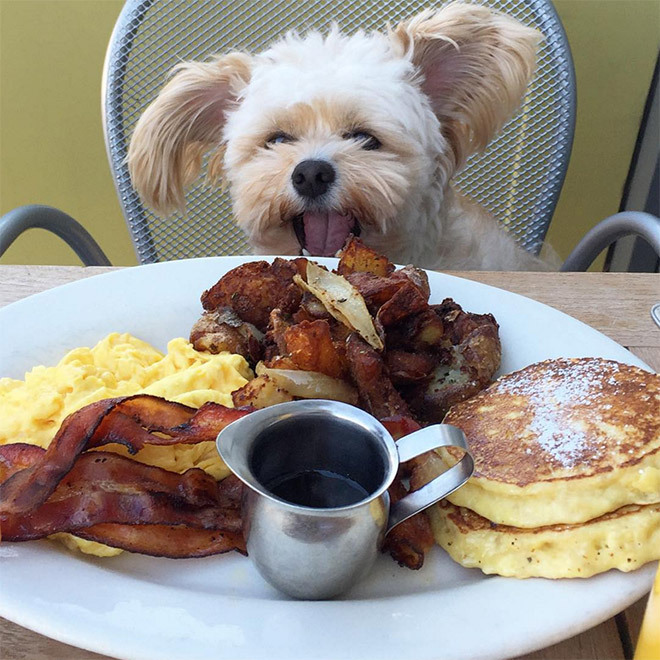 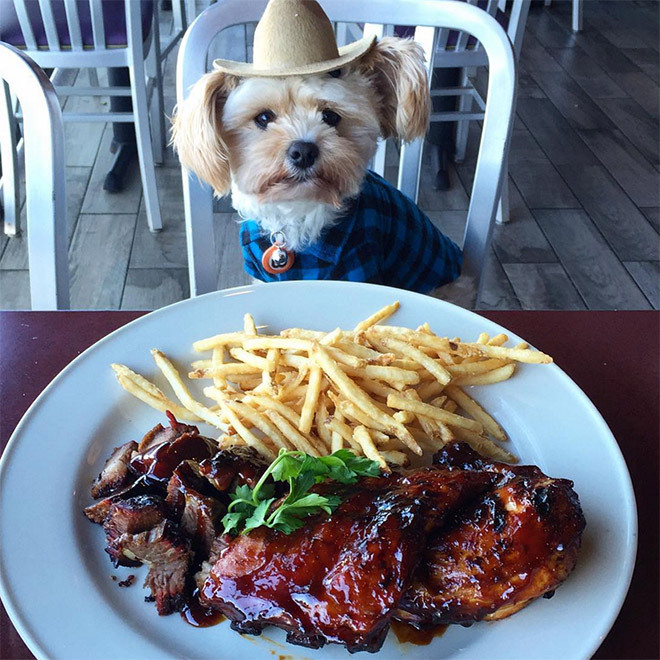 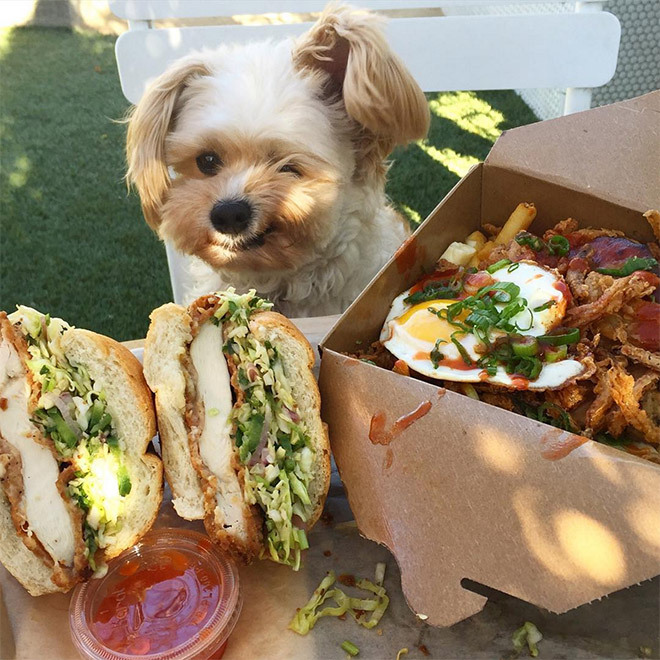 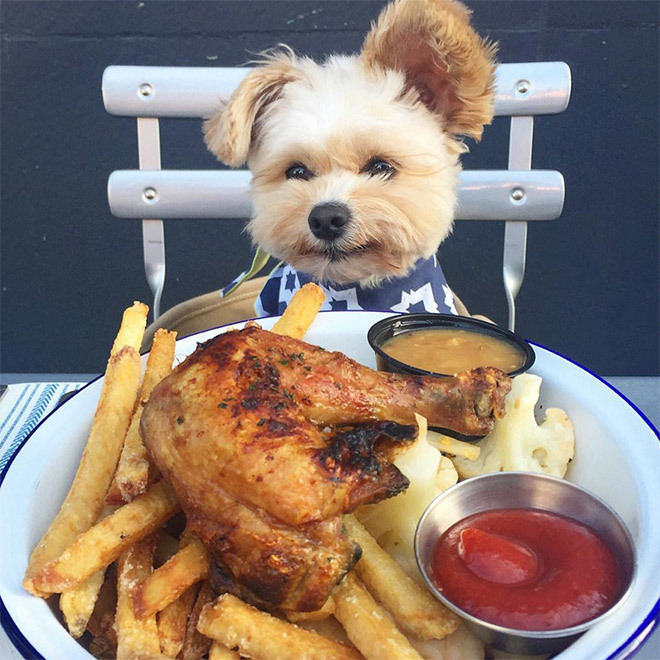 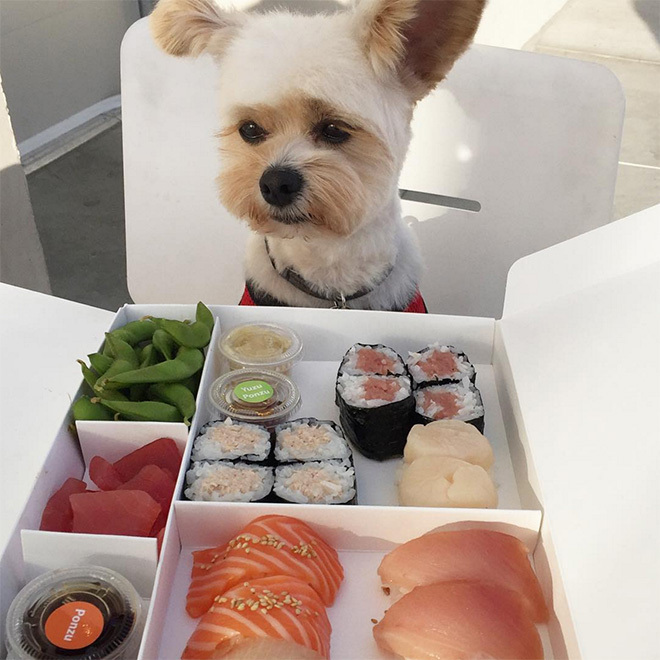 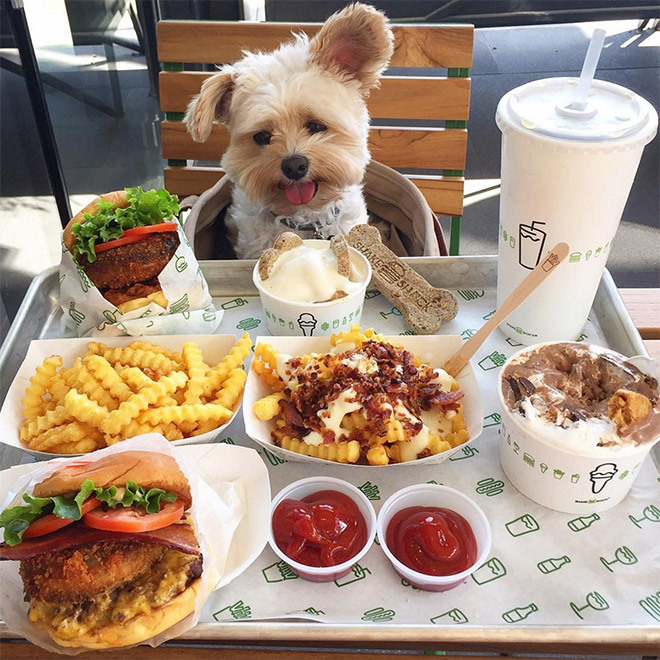 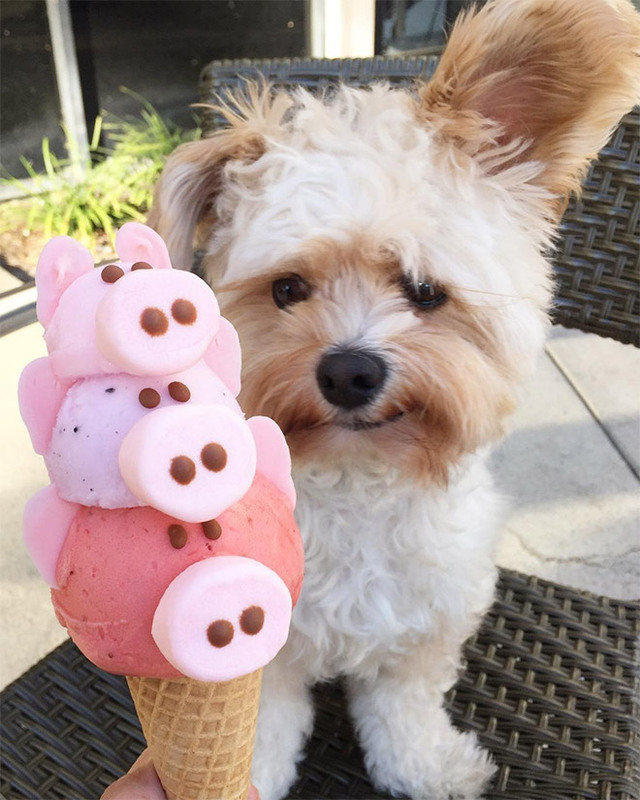 Once a starving stray who used to eat whatever he could find, now the fluffy foodie dines on the best food in town along with his owner Ivy Diep. 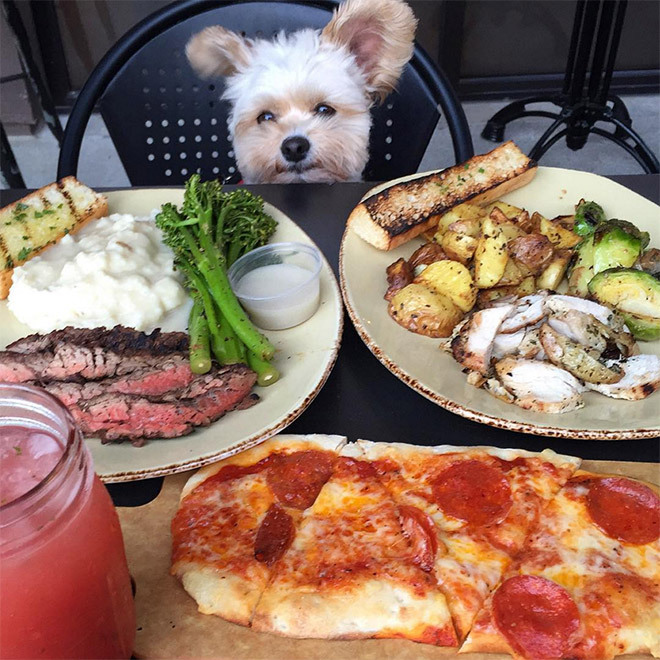 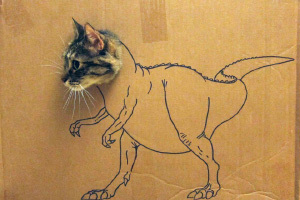 He was such a mess – super skinny, heavily matted, and dirty. 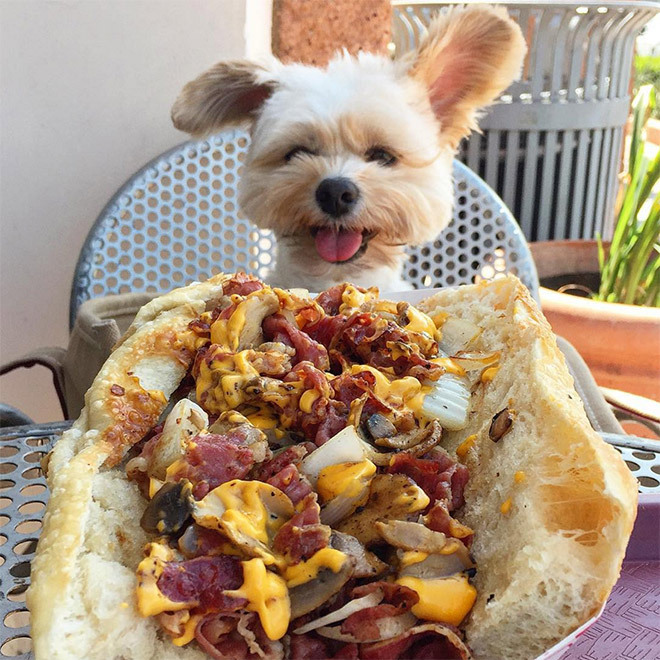 It wasn’t long before he made himself at home at my place with my other dogs. 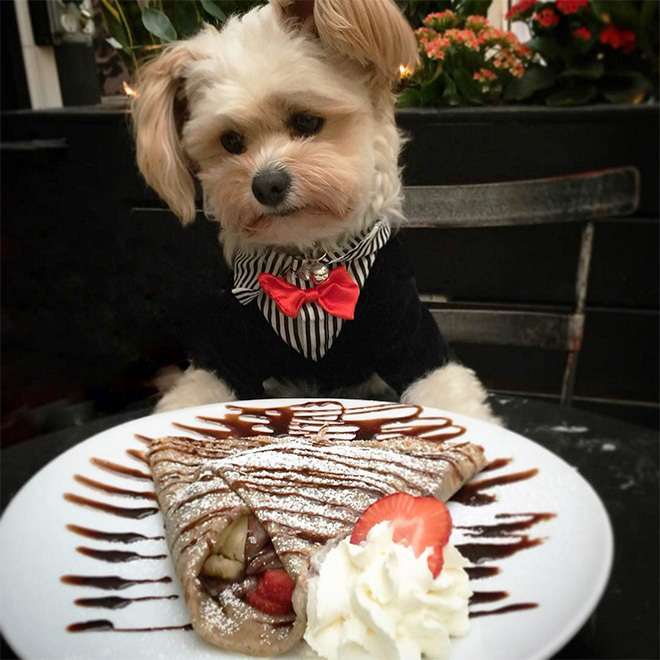 And of course, my husband and I fell in love with him.